FULLY RENOVATED home in East Quincy Highlands. 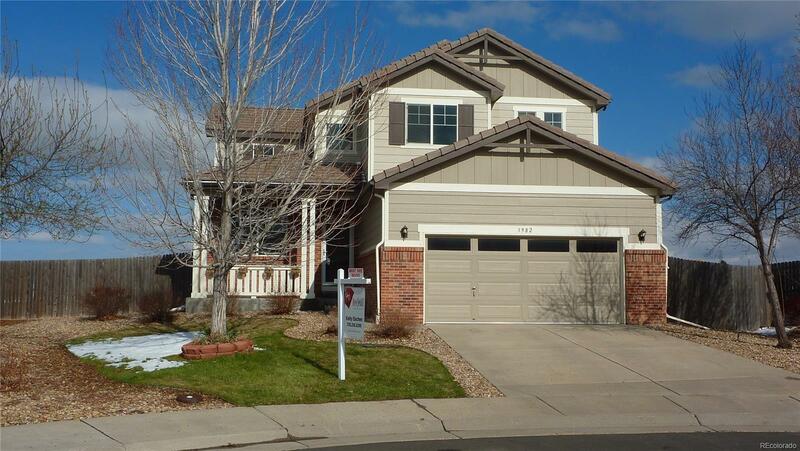 Highly sought after 5 bedroom, Russell floor plan in Cherry Creek schools, backs to open space. EVERYTHING IS NEW!! Entire main floor has laminate wood flooring!! BRAND NEW carpet. Granite counter tops in kitchen and all bathrooms. All New SAMSUNG stainless steel appliances, including fridge. Professional interior paint throughout. New and upgraded brushed nickel faucets, lighting and door hardware. This beautiful home has central vac, security pre-wire, surround sound speakers in master and on main floor. TWO walk in closets in Master. 5th main floor bedroom with adjoining bath can also be used as a study. New hot water heater and furnace within the last 2 years. The HUGE full basement is ready for renovation with rough in plumbing. HURRY this one is a gem and will go fast! !